The Group has opted for a presence in Africa for many years and is making it the major part of these investments. Its subsidiary, Bolloré Africa Logistics, is the biggest transport and logistics operator in Africa, where it has a network without equal with 250 subsidiaries and almost 24,000 employees in 55 countries, including 46 in Africa. This network allows us to offer exceptional logistics solutions dedicated to all of its customers. 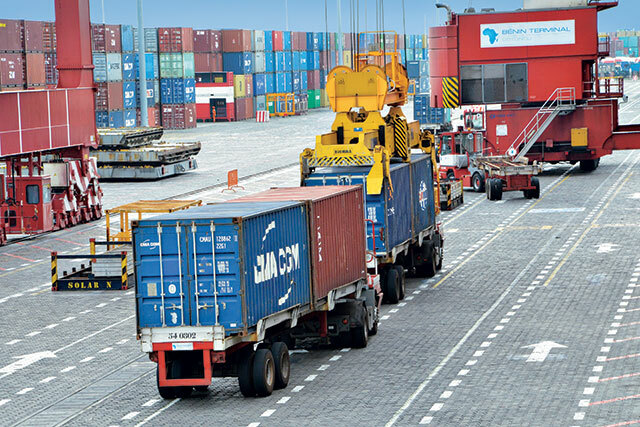 Operating in 17 container terminals on the continent through public-private partnerships port achieved at the end of international tenders, Bolloré Africa Logistics is the leader in this sector. It participates in the process of privatization of container terminals. It operates in particular the container terminals at Abidjan in Côte d’Ivoire, Douala and Kribi in Cameroon, Tema in Ghana and Lagos-Tincan in Nigeria, Libreville Owendo in Gabon, Pointe-Noire in Congo, Cotonou in Benin, Freetown in Sierra Leone, Lomé in Togo, Conakry in Guinea and Moroni in the Comoros Islands. The Bolloré Group has exported its know-how beyong Africa, into emerging economies offering high growth potential: in Port-au-Prince (Haiti) and in Dili (East Timor). With regard to its shipping agency business, Bolloré Africa Logistics has 76 branch offices in Africa, 21 branch offices in France and the Mediterranean region, supported by 7 commercial hubs in Paris, Beijing, Dubai, Valence, Athens, New Delhi, Singapore and Washington. These branch offices and hubs are expected to meet demand from its-owner clients worldwide. The Group also sees to all administrative and customs clearance for its customers, before and after transport; it forwards goods by truck, plane or train to their final destination. Futhermore, Bolloré Africa Logistics brings to its customers a full range of storage capability, from secured conventional warehousing to agricultural produce and shelving, via more complex added-value. Bolloré Africa Logistics is pursuing its strategy of developing as an integrated logistics operator for key sectors such as raw materials, equipment energy and consumer goods. Bolloré Africa Logistics now operates three rail concessions in Africa: Sitarail, Camrail and Benirail.